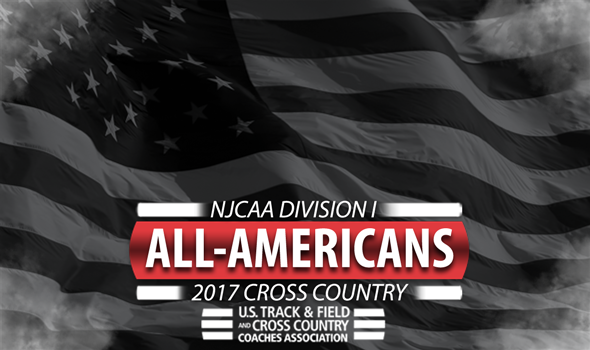 NEW ORLEANS – All-Americans for the 2017 NJCAA Division I Cross Country season were announced Tuesday by the U.S. Track & Field and Cross Country Coaches Association (USTFCCCA). Athletes of member institutions who finished in the top-15 of their respective races this past weekend at the 2017 NJCAA Division I Cross Country Championships earned the honor. Four different men’s programs earned two or more All-America honors, led by national champion Iowa Central with three. The Tritons were joined by Central Arizona, Cloud County (Kan.) and South Plains (Texas) in that regard. Over on the women’s side, three different programs nabbed multiple All-America honors – once again led by national champion Iowa Central. The Tritons had three, while South Plains (Texas) and Southern Idaho each had two. See below for a full list of NJCAA Division I Cross Country All-Americans.